It is very common nowadays for things to be done using their mobile or tablets even to have access online with their personal stuff. Easy that you don’t need to carry loads of papers with you, but rather than just one small device. Comes along with the changes of technologies, are always ways to plan and prepare for your daily meals. We all know that there are so many apps online to choose from as well as seeking for the best one sometimes confuses the client to pick. 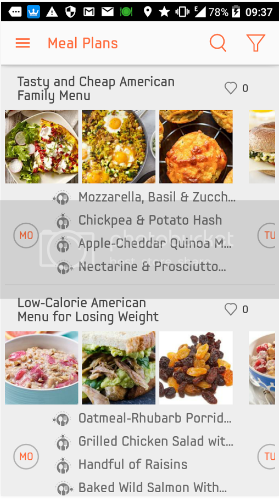 Just recently I have found a good meal planner through Google Play. Scrolling down their menus, procedures and even ingredients they have healthier food and good looking meals prepared for us. Look for Recipe Calendar on Google Play if you are an Android and also this app is compatible with all of your devices, so just find Recipe Planner and install the app to see what exactly I mean. Get this meal planner on Google Play now and you will enjoy the recipes and how simple and quick you can make them. Through the app, it will show you the time you’ll save for the meal preparation. You can also cook those easy meals as you have to choose a predefined weekly menu. Gives you the list you needed for each meal plan and they have a better and easy way to understand their directions. 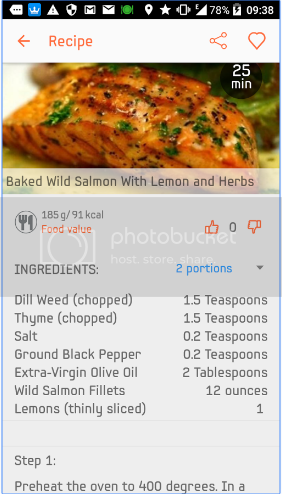 What I like most about the app aside from the fact they have a very good list of meals, it will give you the idea of what to cook for the whole day meal. Meaning no more repeated meals for the family and to think they are new, good and healthier this would definitely save you more time to think of what to make for yourself or for your family. This is one app that my dear wife must know. My kids and husband's pallete changes everyday so I cook whatever they have in the mood for. Having said that, food planner doesn't work for me.